The latest documents leaked to journalists by NSA whistleblower Edward Snowden and published Thursday in the Guardian newspaper reveal that the British GCHQ spy agency—with possible assistance from its U.S. counterpart—built and maintained a program that allowed it to tap the live webcam chats of millions of internet users with no connection to criminal or national security investigations. With a program codenamed “Optic Nerve,” the documents reveal how the agency hacked into the camera feeds of those using Yahoo! webchats, capturing both snapshots of conversations and metadata associated with the communication. As its name indicates, at least part of the program was aimed at improving the government’s ability to use digital eye-recognition technology to detect and catalog online users that may or may be not be part of a criminal investigation. 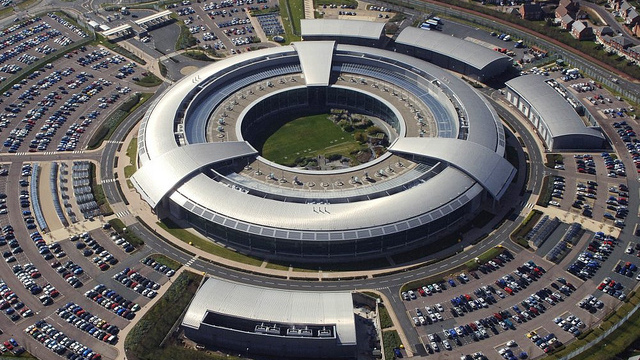 “Truly shocking,” were the words used by Alex Abdo, staff attorney with the ACLU’s National Security Project, to describe the latest details about the dragnet surveillance programs of the GCHQ and the NSA, which seemed to have some knowledge of the program and may have had an active role in executing certain aspects of it. If the reporting is true, said Yahoo in a statement, the secret program “represents a whole new level of violation of our users’ privacy that is completely unacceptable.” A spokesperson for the company was clear in saying the Yahoo! had no knowledge of and would never approve such a blatant violation of its users right to privacy. Rather than collecting webcam chats in their entirety, the program saved one image every five minutes from the users’ feeds, partly to comply with human rights legislation, and also to avoid overloading GCHQ’s servers. The documents describe these users as “unselected” – intelligence agency parlance for bulk rather than targeted collection. One document even likened the program’s “bulk access to Yahoo webcam images/events” to a massive digital police mugbook of previously arrested individuals. “Hmm, webcam, that’s a good question,” Alexander says, walking away when I ask about NSA’s access to GCHQ’s bulk Yahoo webcam collection.